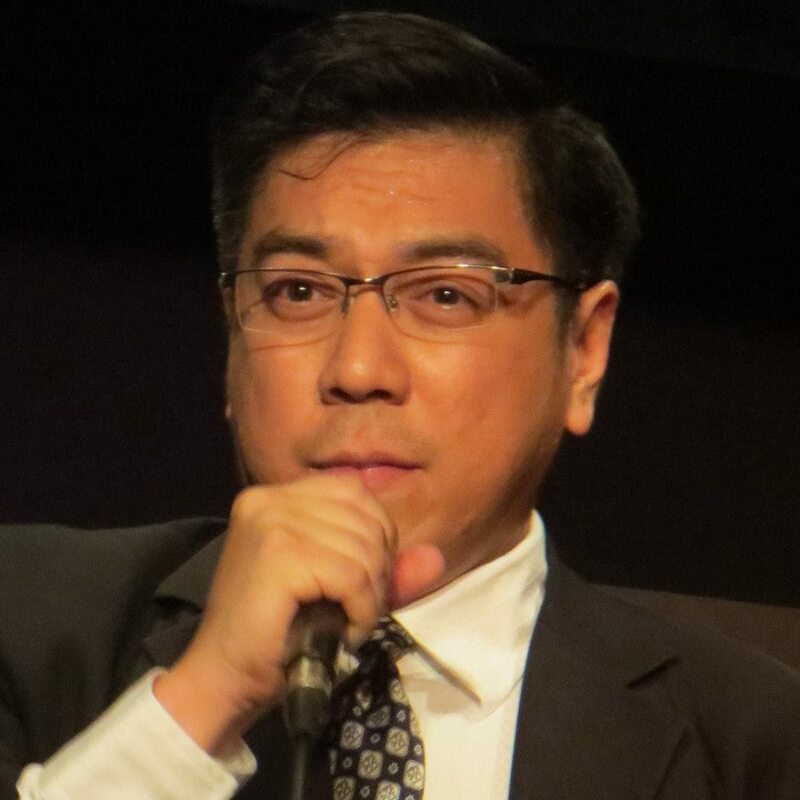 Home / Opinion / Ateneo de Manila Alumnus lectured Pangilinan on Federalism: “You are really a freakin' MORON, Kiko Matsing! Ateneo de Manila Alumnus lectured Pangilinan on Federalism: “You are really a freakin' MORON, Kiko Matsing! 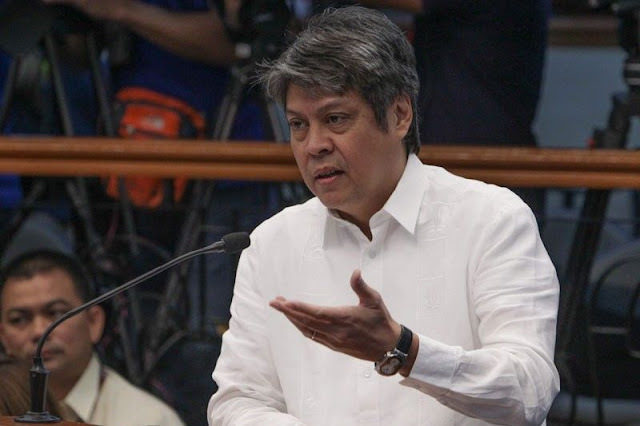 Ateneo de Manila University alumnus and Reform activist Orion Perez D lectured Senator Francis “Kiko” Pangilinan about Federalism when the latter said that Federalism could mean more taxes and more borrowing or both. According to Perez, there is no double taxation in federalism, instead there is split taxation. He then cited an example of a country that is Unitary that imposes a 20% income tax rate. He said that if that country goes to Federalism, they will not have a sudden 40% income tax. The country will split the original 20% into 10% for federal-national income tax and 10% for regional income tax. He pointed out that the 20% income tax to the citizen will continue to be 20% overall. “So, for instance, for the sake of argument, if a country that is UNITARY imposes a 20% income tax rate on all its citizens who are gainfully employed, and then that country suddenly goes FEDERAL, they will not suddenly have 40% income taxes in total, representing 20% federal-national income tax and 20% regional income tax, but instead, the country will SPLIT the original 20% into 10% federal-national income tax and 10% regional income tax,” Perez said. Perez ended his post by challenging all the anti-Federalism/anti Constitutional Reform in a face-off all by himself. “Magsama-sama kayo lahat sa isang team versus MYSELF ALONE. Pagtulungan niyo ako, TALO PA RIN KAYO!! !” he said. 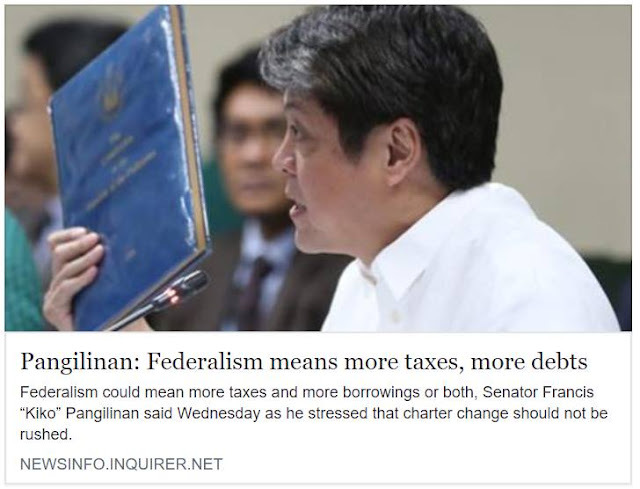 If what you said were true that Federalism necessarily means higher taxes and more debt, then WHY IS IT, Mr. Cuneta, that Federalist Switzerland generally has LOWER TAXES than Unitarist Sweden? Why is it that for the longest time, the Unitarist Philippines has had HIGHER TAXES than Federalist Malaysia??? JEEZ you are really a freakin' MORON, Kiko Matsing! You continue on with this FALSE NARRATIVE that "Federalism means double taxation", don't you? There is NO DOUBLE TAXATION IN FEDERALISM. Instead, there is SPLIT TAXATION. So, for instance, for the sake of argument, if a country that is UNITARY imposes a 20% income tax rate on all its citizens who are gainfully employed, and then that country suddenly goes FEDERAL, they will not suddenly have 40% income taxes in total, representing 20% federal-national income tax and 20% regional income tax, but instead, the country will SPLIT the original 20% into 10% federal-national income tax and 10% regional income tax. Or perhaps during the federalization process, the country's leaders may decide to split it as 15% regional income tax and 5% federal-national income tax. The point is that the overall income tax burden to the citizen who was originally taxed 20% income tax WILL CONTINUE TO BE 20% overall income tax! Are you really that dense? Is this inability to understand simple concepts part of the reason that your Megastar wife prefers to hobnob with the Duterte Administration and not be politically-identified with you and your party??? By the way, I haven't forgotten how, back in 2010, you idiotically insisted that Australia was contemplating a move to the Presidential System. There is hardly any clamor to shift away from Australia's Wesminster-derived Parliamentary System towards a US-style Presidential System since most Australians are well aware of just how LOUSY and dysfunctional the US Presidential System is. There is, however, a movement that aims to move Australia away from being a Constitutional Monarchy with the British Monarch as the symbolic head of state, represented in Australia by a Governor-General, towards becoming a REPUBLIC in which the Constitutional Monarchy will be abolished and the Governor-General will be converted into a PURELY CEREMONIAL PRESIDENT. Under this scheme, Australia would CONTINUE TO HAVE A FEDERAL-PARLIAMENTARY SYSTEM! Was this the "reform movement" you thought wanted to shift Australia to have a "Presidential System", huh, boy? JEEZ, you are really so weak-minded, Kiko. Magsama-sama kayo lahat sa isang team versus MYSELF ALONE. Pagtulungan niyo ako, TALO PA RIN KAYO!! !